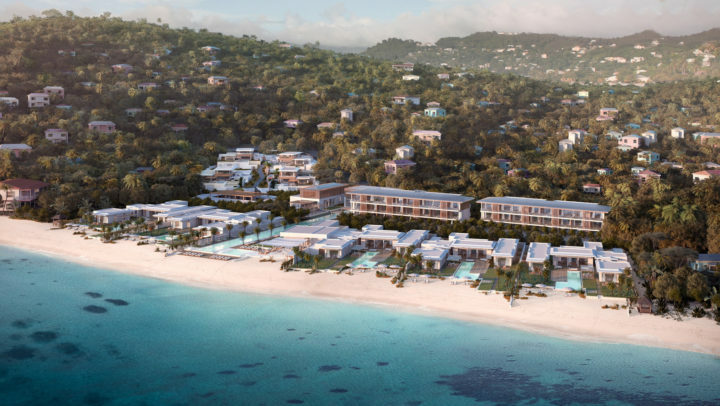 Travel to Grenada is more compelling than ever with the opening of an ultra-luxury resort on the coveted Great Anse Beach. Silversands, a Virtuoso Preview Hotel, is opening its doors to welcome guests beginning December 1st, 2018. The hotel represents the first luxury property footprint on this beach in more than a quarter century. A visit to Grenada’s shores is marked by pristine natural beauty where sparkling, azure waters meet stretches of pure white sands. Visitors arrive to fresh air brimming with the scents of the Spice Island’s exotic forests, fruit trees and fragrant, tropical blooms. The welcoming scenery is matched by the genuine, warm and hospitable Grenadian people that make very visitor feel instantly at home. The timing for the Silversands opening on the friendly Caribbean island of spice and chocolate could not be sweeter. For more than 50 years, the only upscale resort option in Grenada, the southernmost of the Lesser Antilles, was the Spice Island Resort — an all-inclusive property on an inviting stretch of Grand Anse Beach, the best of the island’s beaches. Underscoring Silversands’ carefully considered development is its membership as a Leading Hotels of the World property, a rigorous collection to join and maintain. The resort’s modern architecture breathes of elegance and simplicity. Light, space and order define the design where “authenticity, nature, luxury and modernity all come together in the strongest possible manner,” says Stéphanie Ledoux and Réda Amalou, principal designers at renowned Paris-based firm, AW2. 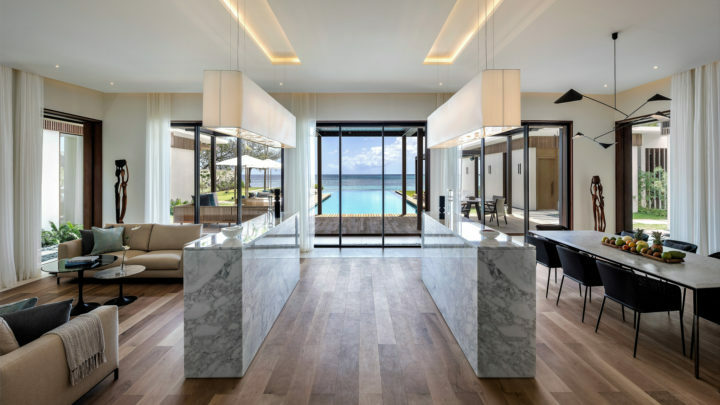 The company lists Six Senses Con Dao, Phum Baitang in Siem Reap, the Amanjena in Marrakech and the Patek Philippe store on London’s Bond Street, among its noteworthy projects. 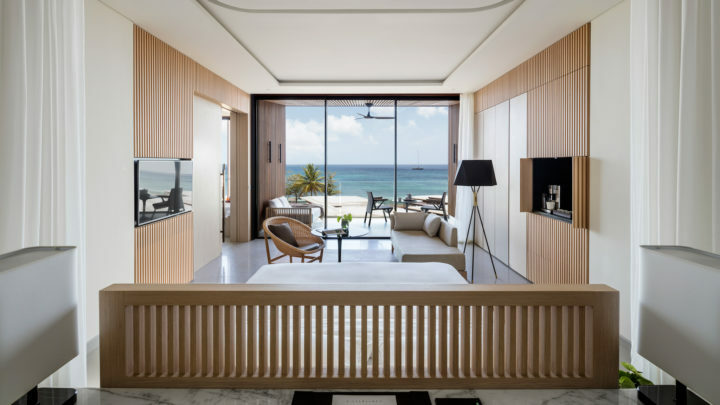 The 43-suite (and nine Hillside and Beachfront villas) resort focuses on minimalist themes that merge with high concepts in contemporary architecture. 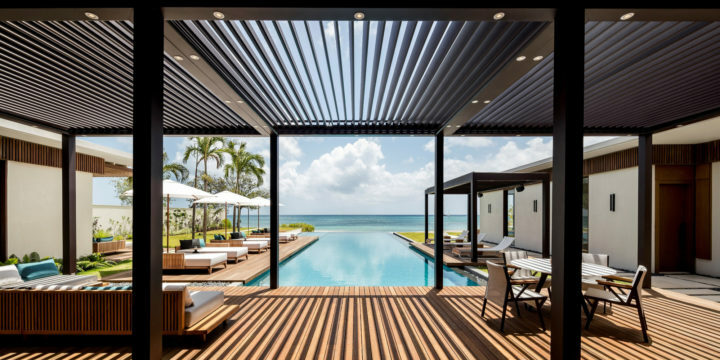 Find sleek lines and shadows in seamless, private indoor/outdoor spaces that blend flawlessly with water features, daybeds, gardens, terraces and pools. The neutral tones of Silversands’ interior spaces create a distinct sense of place – all culminating into a carefully curated oeuvre where the showcase is Grenada itself and its stunning sea views and landscapes. Key among Silversands’ amenities is the 339-foot pool, the longest infinity pool in the Caribbean, that seems to drop right into the sea. But guests will want to wrap themselves in the raw beauty of Great Anse Beach with its two-mile stretch of crystal white sands. The island’s colorful character comes to life on this unspoiled beach where friendly locals stroll and guests enjoy the open vast of nature in this gem of a small island. Dining happens in two restaurants, the Grenadian Grill and Asiatique, both drawing from Grenada’s agriculture bounty and the talents of culinary artisans. That means menu offerings of line-caught fish, handpicked produce and organic grass-fed beef. Spirits are a Grenadian specialty and island-crafted beers and rums join a global wine list. Accommodations at Silversands are all open-plan suites that range in size from 580 to 1,647 square feet in one- to three-bedroom configurations that offer view of the beach or the hillside. Then there is the 2,000-square-foot Penthouse with two private terraces, and an additional nine palatial villas. 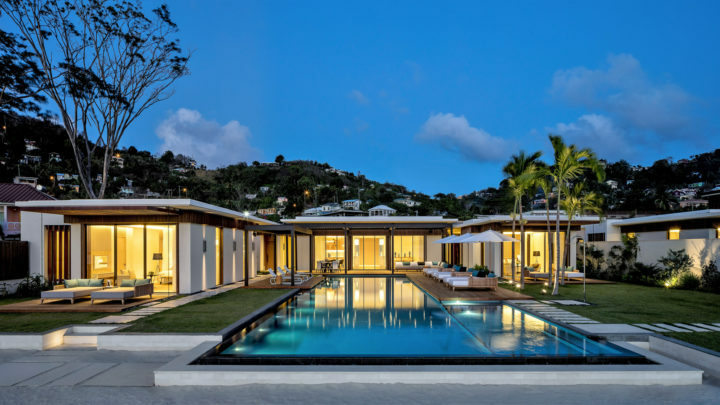 Those divide into five 4,400-square-foot Beachfront Villas with direct access onto the sand, and four three-bedroom Hillside Villas with magnificent views of the resort grounds and sea. A visit to Grenada brings plenty of to-dos and unusual activities for visitors of all ages. Among the “musts” is an immersive tour of the Molinere Underwater Sculpture Park, a riveting and haunting experience that has visitors donning snorkel gear and diving into 30-foot depths to discover an underwater landscape of 110 statues created by British sculptor Jason deCaires Taylor. The art pieces were strategically positioned to enhance the recovery of damaged coral reef, but remain a silent gallery of beauty in the warm, clear waters. Another only-in-Grenada activity is chocolate, which has a history on this island that reaches back to 1714. Like wine, the bean of the cacao tree is all about terroir — the sweetness of the fruits growing nearby and the richness of the soil — all reflected in the end product. Grenada, for many years, was the world’s largest exporter of the Cacao bean and today four major chocolate companies on the island continue its rich, chocolate-making traditions: the Grenada Chocolate Company, Jouvay, Crayfish Bay and Belmont Estate, all offering farm and tasting tours. Chocolate fans will also want to consider the annual Grenada Chocolate Fest the first week of June, where they can taste varieties of chocolate-laced street food and even chocolate beer. But Grenada, at just 21 miles in length and 12 miles wide, offers plenty more to explore. Some 45 beaches on the island open onto the southeastern Caribbean Sea and just about everything there to see and do is reachable within an hour. Grenada’s horseshoe harbor capital, St. George’s, is an idyllic and quintessential Caribbean town. Visitors can get spectacular views of the capital from Richmond Hill and Fort Frederick, a well-preserved relic of the island’s colonial past. From there visitors will want to walk along the Carenage, a quaint and multi-hued waterfront promenade of boutiques and cafes. For those who would rather spend their time improving their swing by the beach, golf is just a three-minute drive from Silversands at the Grenada Golf & Country Club . Travelers that book their stays at Silversands through advisors in the Virtuoso network get some excellent extras.